So the teething continues in the Hazelden household, poor Layla is dribbling more and more and anything she can get her hands on she has to chew, including my phone, the little monkey. This however made Layla a very good subject to help me review a product from Gumigem. Gumigem is a lovely UK based company, created by Jenny McLaughlan, that makes teething jewellery. The jewellery is made from silicone and is BPA, PVC, lead, latex and phthalate free, so very safe for your little ones. The Gumigem range has expanded over the past couple of years and they stock many necklaces and bangles. These are designed in the UK and manafactured in both their UK and Chinese factories. I was sent one of their Gumidrop necklaces in the Plumberry colourway (purple is my favourite colour!!). The necklace was an instant hit with Layla. The material is very soft and flexible and even though Layla has got a couple of teeth already, this didn't mark or ruin the necklace in any way. The necklace itself is put on a long black cord with a breakaway clasp. I loved the length of the necklace as this gave plenty of reach for baby. 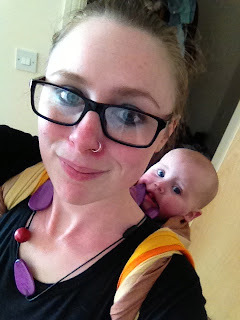 Now I know that Gumigem are primarily for teething but it also doubled up into a babywearing necklace. 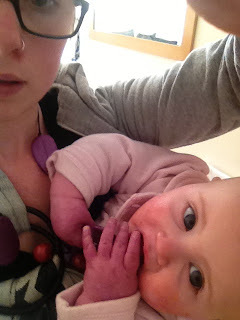 The necklace really came into it's own when I had Layla in a wrap. It kept her entertained while we were out and about and it also meant that she wasn't pulling on poor mummy's hair!!! I should have recorded the lovely noises she was making as she was chewing away. With prices starting at just £8.95 for a bangle, I think they are extremely good value for money and if that wasn't good enough, you can also buy sets of necklaces, bangles or both and save yourself money!! 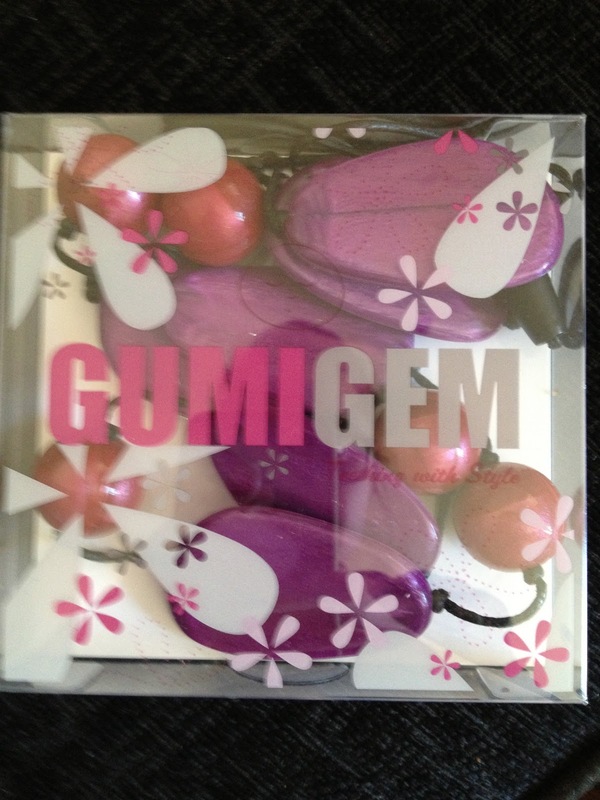 You can also find Gumigem on facebook and twitter for all their latest news and competitions. I honestly couldn't recommend them enough, I think this is one of those must have items!!! Would love to know if any of you have got one, or if you haven't which one would you choose? ?